Differences in gender, ethnicity and socio-economic status have a profound impact on subject choice at A level and patterns vary at every ‘intersection’ of these different factors. This means that some groups of pupils are particularly unlikely to study some subjects. Our Social Mobility Commission report on ethnicity, gender and poverty revealed all sorts obstacles to social mobility. However, one dimension which has been reported on less was patterns in uptake of STEM subjects. On Tuesday I spoke about this topic at a Royal Society workshop and highlighted some surprising patterns. I’ve summarised three of the most interesting findings below (and the presentation is available here). 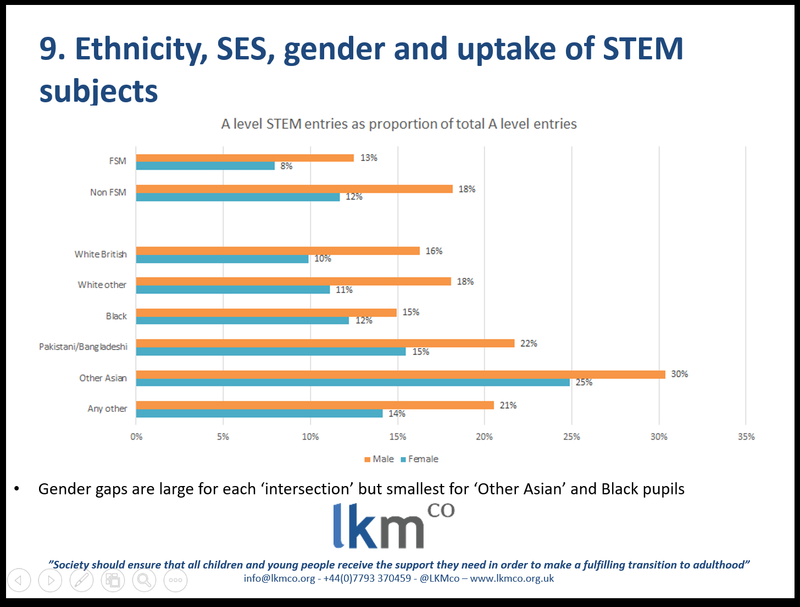 1.There is an SES gap in STEM attainment at A level but its size varies between ethnic groups. There is a gap for all ethnic groups but it is smaller amongst Pakistani/Bangladeshi pupils. This is particularly the case among White British and White Other pupils. The gap is smaller among Black pupils and ‘Other Asian’ pupils. 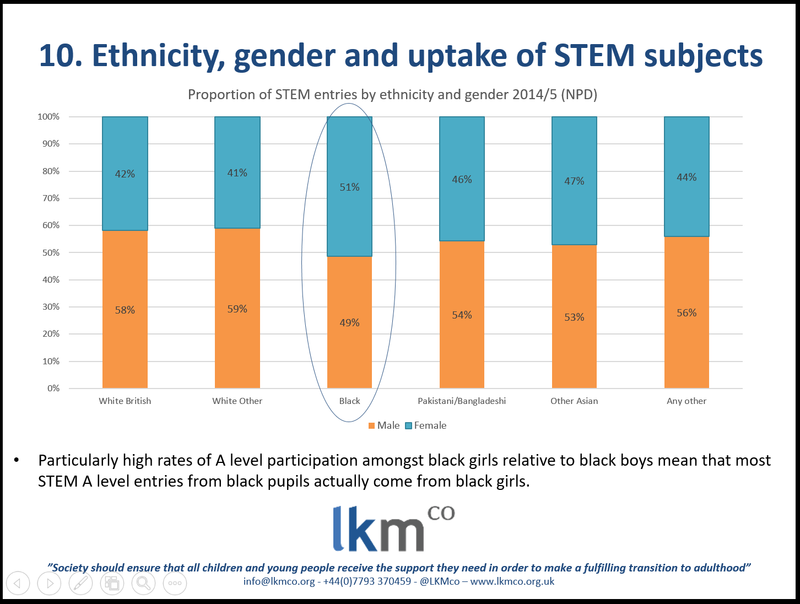 Partly as a result of this gender gap, but also because 56% of black pupils’ A level entries overall (all subjects) are from girls, most STEM entries from Black pupils come from girls. This is not the case with any other ethnic group. At the other extreme are ‘White Other’ students, where only 41% of STEM entries come from girls. 3. 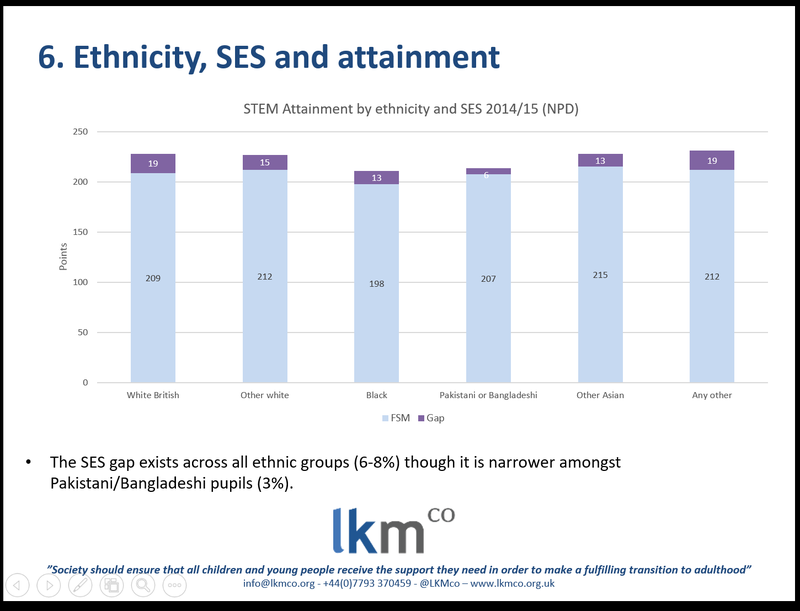 The SES gap in uptake exists among all ethnic groups but is particularly wide among White British pupils. 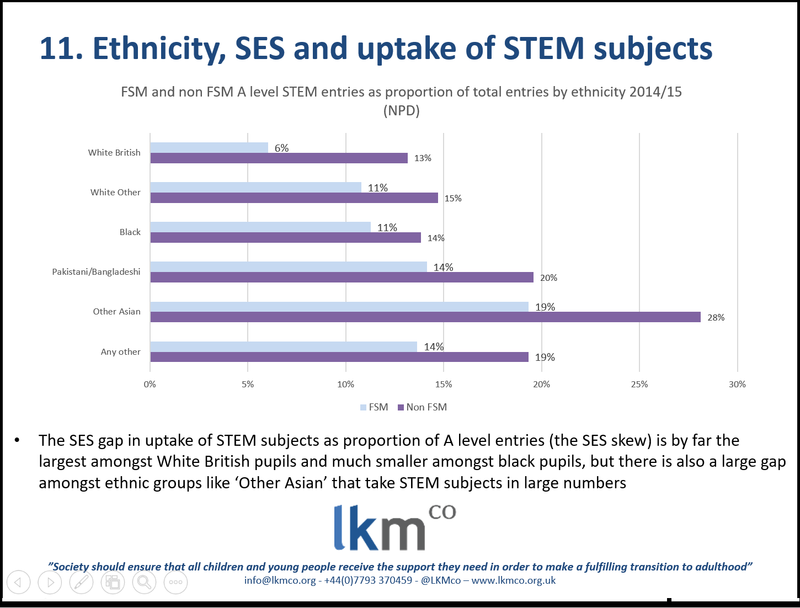 6% of White British FSM pupils’ entries are in STEM subjects, less than half the proportion among non FSM pupils. Of course, when looking at stats like this it is important to remember that a far larger proportion of ethnic minority students are poor, both in terms of a larger proportion of them being FSM eligible and the ‘non eligible’ pupils tending to be poorer than white ‘non eligible’ pupils. 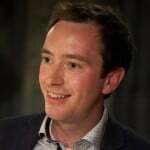 You would therefore expect FSM and non FSM participation and achievement among ethnic minorities to be closer and for the ethnic group as a whole to perform more like its officially recognised ‘disadvantaged pupils’. This analysis is based on numbers of A level entries derived from the NPD by Education Datalab for our joint Social Mobility Commission Project. Thank you to Philip Nye and Becky Allen for their help.